Having worked with +Akhilesh Gupta and +Martin Meyer on multiple +Polymer assignments, we have done some cool work on polymer and developed some fancy dashboard for big-screen in +Salesforce for in house projects, a dashboard manifesting cool stats on large screen all through latest Polymer components. We wrote many cool components, animated pages and on top of Visualforce integrating latest of Polymer, with its evolving capabilities. Recently I wrote a component for generating list view for Salesforce standard objects, in here I'll explain how to built a list-view component but before we proceed, I would like you to read, this post about Salesforce Labs project for Mobile and Polycharts on Salesforce Blog to get brief idea about, how we have developed a complete library (open-sourced) on top of Salesforce for generating mobile application using Polymer. I am reusing some of the data-components, from this libraries as well and will explain as we move forward.Clearly, polymer is all about reusing components and write minimum code and produce more. Components driven models is all about, reusing components, so I thought of writing a Google Polymer Component for Salesforce ListView API that do the same job but with a very little code. 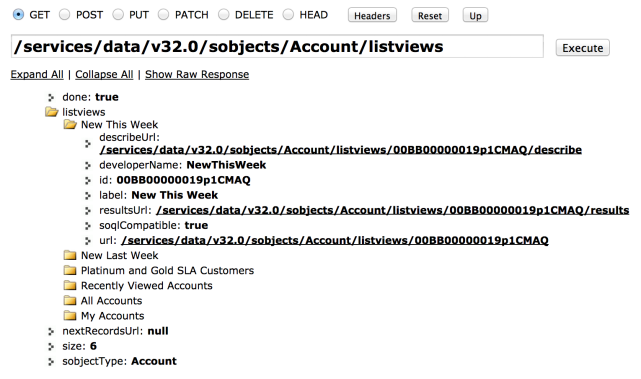 Returns the list of list views for the specified sObject, including basic information about each list view. You can also call this resource for a specific listview entity ID to return information for only a specific list view. 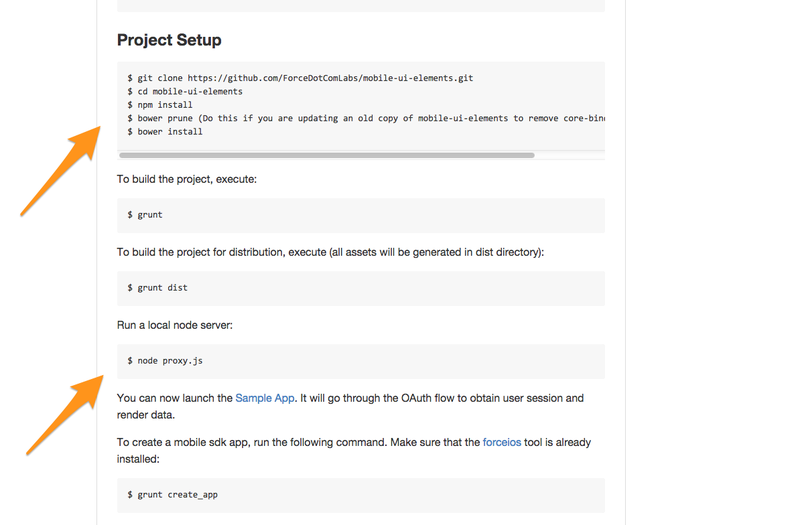 Once components are ready, follow the instruction on the Mobile UI Library written by Mobile Sdk Team to play with it. Create an html or visualforce page to consume component, the component will return the list of values, you can consume it and display, however you want. I recommend reading another example bootstrap table component explaining, how to import and use Polymer Components with Visualforce Pages or simply run this html (pass access-token of Salesforce) on your local machine using either Node.js or any other local server.